Between the main inhabited islands of the Maltese archipelago lies a not-at-all hidden gem, the island of Comino. It has only three permanent residents and serves as a bird sanctuary. It is also known as a habitat for various reptiles. As such, it is not overdeveloped like the island of Malta, and tenting, heavily restricted on Malta, is popular here. Despite these advantages, it′s not the land that attracts hordes of tourists to the island. Like a cumin seed from which its name is said to be derived, it adds delightful flavor to the archipelago experience. This entry was posted in Travel blog and tagged beach, malta, mediterranean escape, nature, tourism, travel, wildlife on 2017-07-09 by Daiva. The best excuse to explore more of one′s country of residence is teaming up with people who are there for a very short visit. This is how I set out to explore the famous South-Eastern areas on a warm and lazy Sunday. Specifically, the fish market of Marsaxlokk has become a popular tourist attraction, and as for Birzebbugia, I did not know what to expect at all. My first impression of Marsaxlokk was that it was shockingly hipster. I realized that I hadn′t seen such a concentration of hipsters anywhere in Malta. Whatever their lifestyle, the faux-lumberjack look is not popular with the Maltese at all. Accordingly, hipster men were in a company of colorfully dressed women, who would otherwise not stand out as much. There were many elderly tourists, too, probably English, given how much they had undressed for the bright but still not so generous Mediterranean sun. And some local families, too, looking for a bargain. 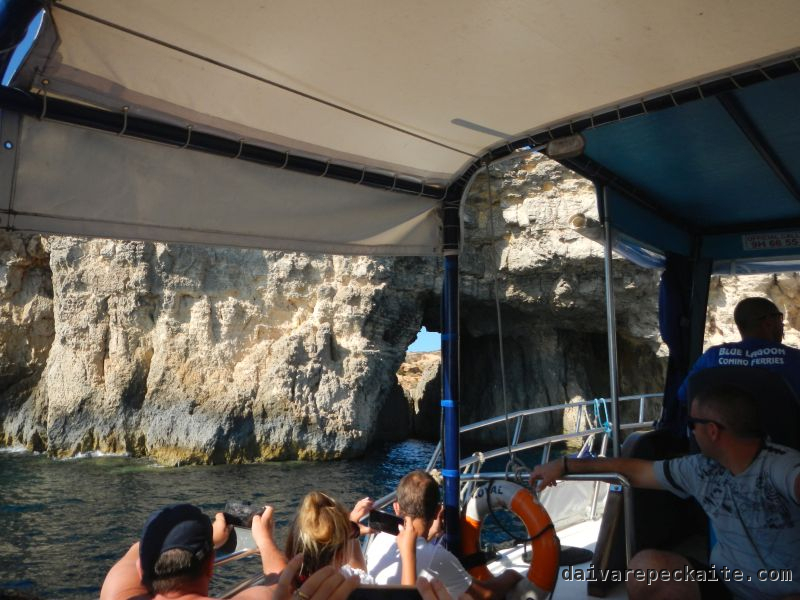 This entry was posted in Travel blog and tagged beach, fishing, hipster, malta, market, mediterranean escape, port, tourism, travel on 2017-04-16 by Daiva. What have you heard of Lübeck? I remember it featured in a computer game I used to love, where the task was to build successful Hansa cities and trade among them. Of course, having moved to Hamburg, I included Lübeck in my short-term bucket list. 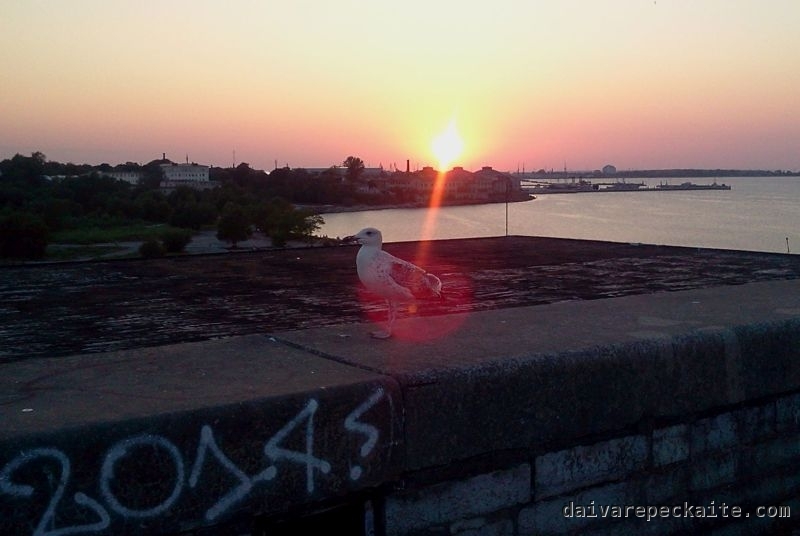 This entry was posted in Travel blog and tagged baltic, beach, germany, lübeck, tourism, travel, travemünde on 2015-08-16 by Daiva. This entry was posted in Travel blog and tagged beach, beaten path, galillee, youth, israel, Yuval Ben-Ami, lake, nature, tiberias, tourism, travel on 2015-01-29 by Daiva. Estonia is often presented as Lithuania’s archetypical competitor, and, judging from many media reports, it seems that the main goal for Lithuania is to be ahead of Estonia one day. Personally, I grew up with my dad’s stories from Tallinn, after he did an internship there in the 1970s, about how Estonia was more western in many ways. Access to Finnish radio was important in forming this impression. Also, Estonia was the second foreign country I ever visited – at the time there were still passport controls at the border, but Finnish tourists were already flocking there to drink. I remember Scandinavian-style dormitories in Tartu, the casual style of Estonians even in rather formal events, and their straightforward talk, in sharp contrast to mainstream Lithuanian habits. I visited Estonia again in 2007 and 2009, and each trip was full of surprises. In 2007, my friend and I discovered a shop offering very interesting, even provocative, jewellery designs. In 2009 I tasted hot chocolate with sea salt, and a cocktail consisting of a shot of vodka, lots of lemon, brown sugar and hot water. This year I was curious to see what surprises this trip will bring. Ready – aim – shoot! This entry was posted in Comics, Travel blog and tagged architecture, beach, cities, culture, estonia, hipster, history, kakumae, kalamaja, kopli, nature, religion, tallinn, tourism, travel, urban on 2014-08-11 by Daiva. This entry was posted in Travel blog and tagged architecture, beach, lithuania, nature, nida, thomas mann, tourism, travel on 2013-09-15 by Daiva. I have to say I didn’t quite make friends with LA, because it was very difficult to navigate without a car, and reading a guide book scared me a lot – there was an extensive list of where not to go alone, where not to go in the dark, and where not to go at all. But fortunately, I did make friends in LA – for which I’m very grateful. Feeling a bit tense, I wrote to a few people on Couchsurfing and got some responses, but only one person found the time to meet up. I met the CSer twice, and he was very kind to show me various things and drive me around when he had time after work. It was doubly interesting to hear his perspective, since he is one of the young people trying to “make it” in LA: he works as an actor, but to balance his income also does camera work and editing. This gave me an idea of the supply chain at work in the huge city with a lot of talent. This entry was posted in Travel blog and tagged asian food, beach, celebrities, hollywood, los angeles, mainstream, north america trip, santa monica, usa on 2013-07-08 by Daiva. This entry was posted in Travel blog and tagged beach, cable car, castle, cities, croatia, dubrovnik, hiking, lokrum, nature, tourism, travel on 2013-06-16 by Daiva. Visiting Dubrovnik for the first time got me asking why I never thought about going there before. I am not surprised why it attracts so many people – there is everything for every taste… except, perhaps, budget travel. The popular Croatian city rests on the remainders of the once-prominent Republic of Ragusa, which was known for its vibrant economic and cultural life, as well as diplomacy and tolerance, in the 15th and 16th centuries. Walking in the city feels as if everything is perfectly preserved since then – but in fact its protection by UNESCO since 1979 did not prevent it from being severely bombed in 1991. Scarce remaining residents of the ancient walled city had to look for ways in which to restore their property, with strict UNESCO requirements for specific tiles and colors. Maps detailing the damage of the bombing hang next to regular tourist maps in the main sightseeing spots. This entry was posted in Travel blog and tagged beach, castle, cities, croatia, dubrovnik, island, lokrum, nature, tourism, travel, urban on 2013-06-02 by Daiva. I didn’t think twice when my friend, who now lives in Tuscany, offered me to visit her there. I only started to explore the Mediterranean region in 2009, when I went to live in Israel, so it was head-on and initially different experience. Later, when I visited Turkey, Egypt, Spain, South France and Portugal on shorter trips, I decided that it would have been a better strategy to start from short vacations – as most people do. To admire the healthy cuisine(s) of the region. To enjoy the sea and the sun without having to solve various cultural and integration problems. Most things were really intuitive in Turkey, Spain, South France and Portugal. When something was very different, I saw it in a positive light. But Italy happened to be more surprising (socially) in many aspects than all these countries. I’ve already written a bit about my trip to Milan. My trip to Tuscany started after that. This entry was posted in Travel blog and tagged architecture, beach, class, culture, italy, lucca, mediterranean, mediterranean escape, tourism, travel, tuscany, vanity, viareggio, wine on 2013-05-05 by Daiva.